Geneva Seal Fine Jewelry and Timepieces on Oak Street not only houses the rarest diamonds in Chicago, but we pride ourselves in forming relationships with our clients, turning them into family. 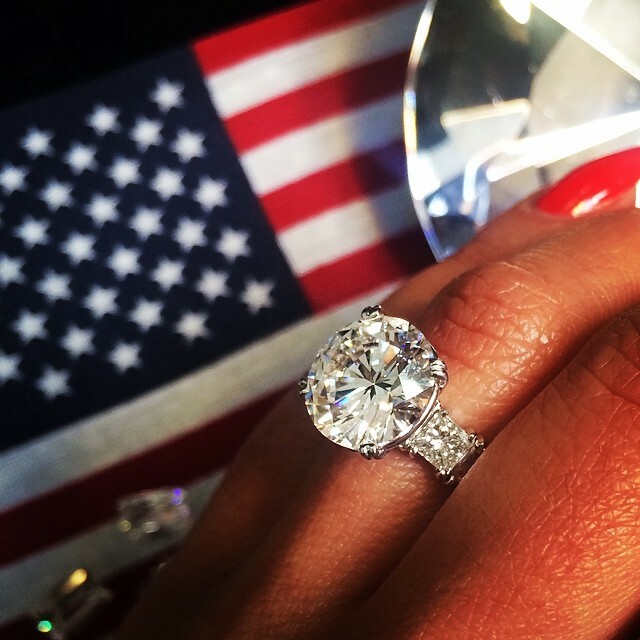 The most important part of the engagement ring search is trusting your jeweler. Geneva Seal's very own, Leonard Goldberg, has over 20 years of diamond grading experience. LG, as we like to call him, is also GIA certified. So, What is GIA? Internationally, the Institute has distinguished itself as the preeminent source of gemological knowledge and professionalism. The GIA Diamond Grading Report and the GIA Diamond Dossier are considered to be the world's premier credentials of diamond quality. Many retailers provide diamond certification, however no report is as unbiased and complete as a GIA diamond grading report. Diamonds of all shapes and sizes are sent to the Institute from every corner of the globe for diamond grading and analysis. GIA is the creator of the revolutionary 4Cs of diamond value (cut, color, clarity, cut). It is also the birthplace of the International Diamond Grading System. The cut of a diamond pertains both to the shape (round, marquise, princess, etc. ), and to the make (how well it is cut for proportion and finish). The cut gives each diamond it's unique sparkle and brilliance by allowing the maximum amount of light to enter and reflect back out of the diamond. While nature determines a diamond's colour, clarity and carat weight, the cut and make are the only factors in diamond grading that are controlled by human hands. The scale for grading ranges from D which is totally colourless, to Z which is a pale yellow or brown colour. Diamonds that are ‘colourless’ (graded D, E or F) are very rare and demand premium prices. The untrained eye will find it very difficult to distinguish between D, E or F grades. The diamond's clarity is a description of its internal purity. With fewer imperfections within the stone, the diamond is more rare and has a higher value. The clarity scale was developed by the Gemological Institute of America (GIA) to quantify these imperfections. The American Gem Society (AGS) uses the same standards as the GIA; however, the AGS uses a numerical system where "0" is the cleanest (GIA "IF") and "10" is the most imperfect (GIA "I3"). All diamonds are systematically graded and plotted under 10X magnification. If a trained grader cannot see a clarity characteristic at 10X, it does not affect the clarity grade. Just as a dollar is divided into 100 cents, a carat is divided into 100 points. For example, a 50-point diamond weighs 0.50 carats. But two diamonds of equal weight can have very different values depending on the other members of the Four C’s: clarity, color and cut. The majority of diamonds used in fine jewelry weigh one carat or less. Geneva Seal Fine Jewelry and Timepieces is known for housing the most exquisite and rare engagement rings in Chicago.